For this week's resource for writers, I've updated and re-released an oldie but goodie -- my HTML cheat sheet for freelance writers and bloggers. The cheat sheet used to come with my now-retired e-book, The Web Writer's Guide, which was released back in 2008. 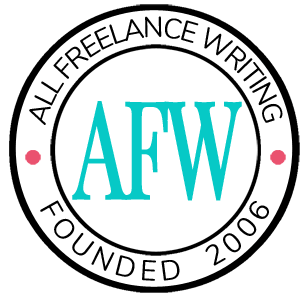 The new version will be available for free permanently in the All Freelance Writing Resources Collection. This download includes some of the most basic HTML clients would expect you to know, as well as some of the most common HTML elements you'll need when writing your own blog content. It also features some quick reminders of best practices for web writers. Awesome, this is a really useful resource! Basic knowledge of HTML is indispensable for anyone who writes for the web. In my experience many clients will just expect you to know it. This is a nice cheat sheet! I often find myself Googling HTML code while tweaking my website or when writing up my author bio for a site that does it in HTML formatting. There are a few on here I haven’t memorized yet, so thank you!